Sandro Giampietro ist not only vocalist, guitar player, songwriter, and producer. The son of a jazz singer and a drummer sings and plays guitar since the age of five. The root of heavy metal music had a big influence on his songwriting since the beginning of his musical career. As an early teenager he wrote heavy metal songs for his band were he was the frontman. In the Year 1995 he was discovered by the German jazz musician Helge Schneider. He played in his band until 1997 and from 2006 until now. Since 1998 he worked - among other theaters - at the Thalia Theater Hamburg, were he acted on stage and wrote music. Beside this he released several CDs with his band Sandro and one Album via Frontiers Records with the band Zillion (b: Jens Becker, dr: Mike Terrana). The german magazine "Metal Hammer" rated him as one of the best guitar players of Germany. Further more he played guitars and wrote Songs with Michael Kiske (ex- Helloween, Unisonic, Place Vendome) with Supared (2003) and played on his solo Works Kiske (2006) and Past In Different Ways (2008) guitars. 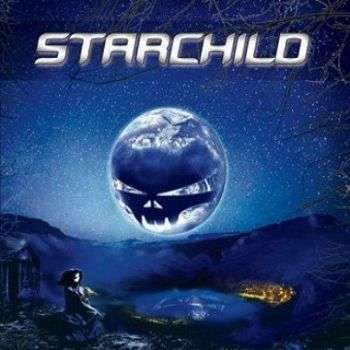 In the year 2012 Sandro founded the metal band Starchild. 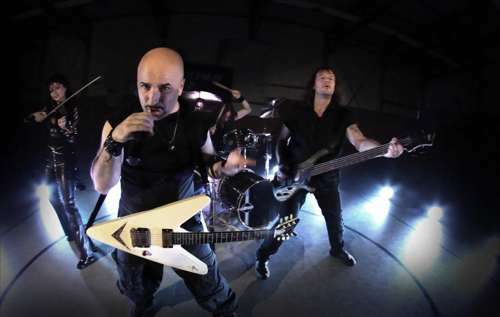 Beside this he is working on the new Solo Album of Michael Kiske and as co-songwriter for Unisonic. Dennis Hormes is known as one of the best German guitarists. With the age of 12 he played his first Gigs with famous musicians of the german music scene. On his first presentation on the Frankfurt music fair he was only 13 years old. After the release of a live Album with his Bluesband in 2002 he was on tour with Stars like T.M. Stevens, Tom Beck, Roachford, The Boss Hoss. Jens Becker played bass from 1987 until 1992 in the german heavy metal band Running Wild. Since 1993 he played in the Band X-Wild and after that he joined Grave Digger in 1997. 2004 he released an Album with the band Zillion with his cousin Sandro Giampietro/ vc+gt and Mike Terrana/ dr. In the year 2008 he joined a project of Markus Grosskopf (Helloween) called Bass Invaders, which was produced without any six-string-instrument. In the year 2012 he joined the band Starchild. Michael Ehré started his musical career at the age of ten. In 1991 he joined the german hard rock band Pryer as drummer and in 2001 he switched to the band Metalium. With this band he released 8 CD's and one DVD. Further he belonged to the Band of ex Scorpions guitar player Uli Jon Roth. In 2009 he was on tour with Kee Marcello (Ex Europe guitar player) and Vinnie Moore (U.F.O) and formed the band Love Might Kill. In 2012 he joined the band Gamma Ray and since 2012 Michael Ehré is Member of the band Starchild. Violin Virtuosa Esmeralda was born as Lina Dobrynina. She was the child of a musicians dynasty of St. Petersburg which roots you can follow up to the old Russian Empire. She plays Violin since the age of five and after her musical education she got various awards. Her heart beats with same intensity for classical music than for rock music. Because of this she plays a 6 String Electric Violin at the metal band Starchild.